This France tour is the perfect way for value-minded travelers to see the highlights of Paris plus the Loire Valley and Normandy. Beautiful scenery combined with famous landmarks and fascinating history sum up this tour. You’ll visit some of northern France’s interesting and charming towns, including Rouen, best known for its connection to Joan of Arc, who lived, was imprisoned, and burned at the stake in the town’s marketplace in 1431. 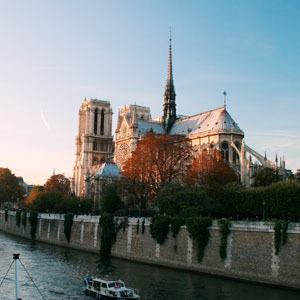 Here, visit the splendid gothic cathedral, which was once the world’s tallest building and the subject of a series of Claude Monet’s paintings, just like the water garden in Giverny, depicted in some of his most famous canvases. 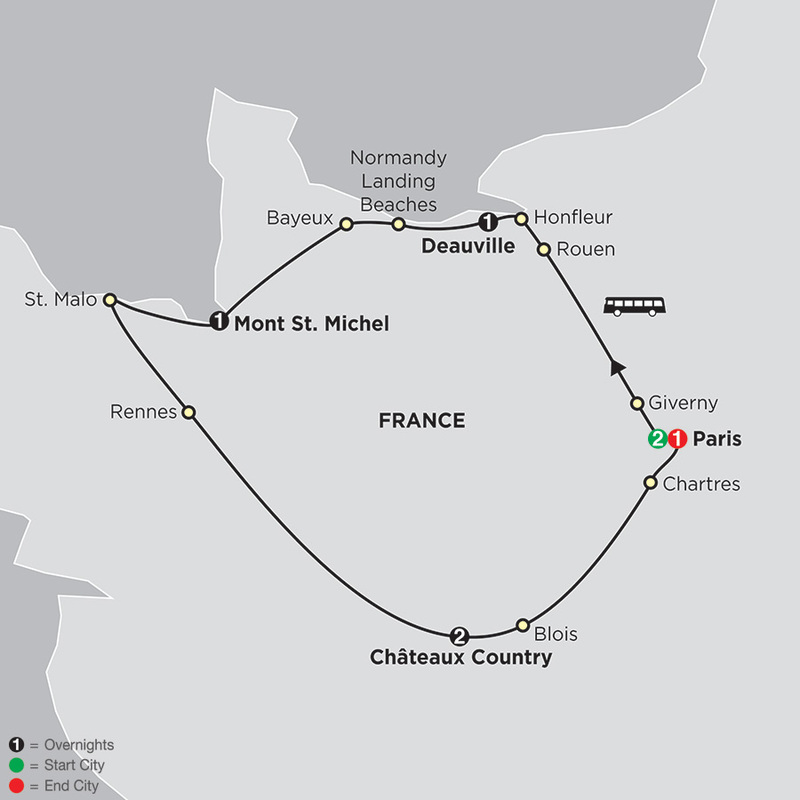 Stop in Honfleur, a romantic port city; Rennes, with its traditional, colorful timber-framed houses; Blois, a picturesque town with its renaissance castle located in the town center; and Chartres, famous for pilgrimages to its 13th-century gothic cathedral. In Bayeux, visit the Bayeux Tapestry, listed by UNESCO and depicting the Norman conquest of England in 1066. Admire the cathedral, ramparts, and ancient walls in St. Malo, a fortified seaside resort. World War II history comes to life as you visit the American Cemetery at Omaha Beach and the landing beaches. Other highlights of this France tour include picturesque Mont St. Michel, situated on a rocky isle with its world-famous abbey that has been a pilgrimage spot for centuries. Spend a day at leisure in the Châteaux Country with the opportunity to take an optional excursion to visit the Château of Chenonceau, a 16th-century, fairytale castle with a moat, drawbridge, and towers.